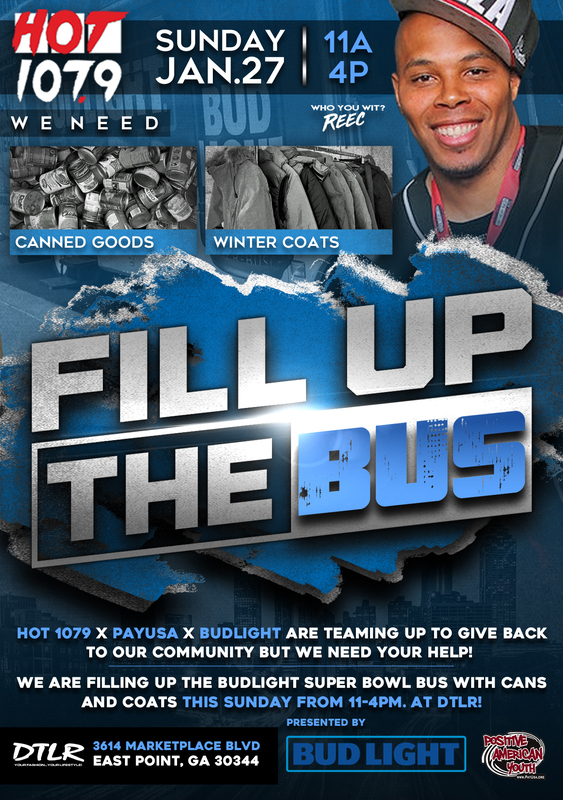 Hot 1079 x PAYUSA x Bud Light are teaming up to give back to our community BUT we need your help! We are filling up the Bud Light Super Bowl Bus With cans and coats this Sunday from 11-4pm. At DTLR at Camp creek location. We will have gifts, Hot 107.9 and Super Bowl swag And TICKETS to Budweiser Super Bowl Music Fest!!! Budlight wants to keep you warm and fed this winter! So join us this Sunday 11-4 at DTLR and help us fill up the bus!